There is no time more fitting than the holidays to say thank you to all of you who have helped share and create a successful year for G2. We extend special thanks to our owners, architects, subcontractors, and suppliers who have been with us throughout 2016 and beyond. We hope that the New Year 2017 brings just as much excitement and prosperity. For those of you who have participated in our Golf Tournament, you know how big of a deal it is! And here we are….already our 7th annual one coming in just two short months. G2 receives Career Builder honor from Butler! G2 owners Doug and Ami Gunther recently attended the Butler Building regional sales meeting in Arizona, where they were the recipients of the “Career Builder” award – the highest level affiliation presented by Butler Manufacturing. This award is a HUGE honor for G2, which acknowledges us as a builder with a demonstrated, proven ability in design and construction. After years of working in construction, Doug Gunther and his wife Ami decided to start their own company. With his experience in the industry and Ami’s background in finance, the couple ventured out on their own and founded G2 Construction in 2005. 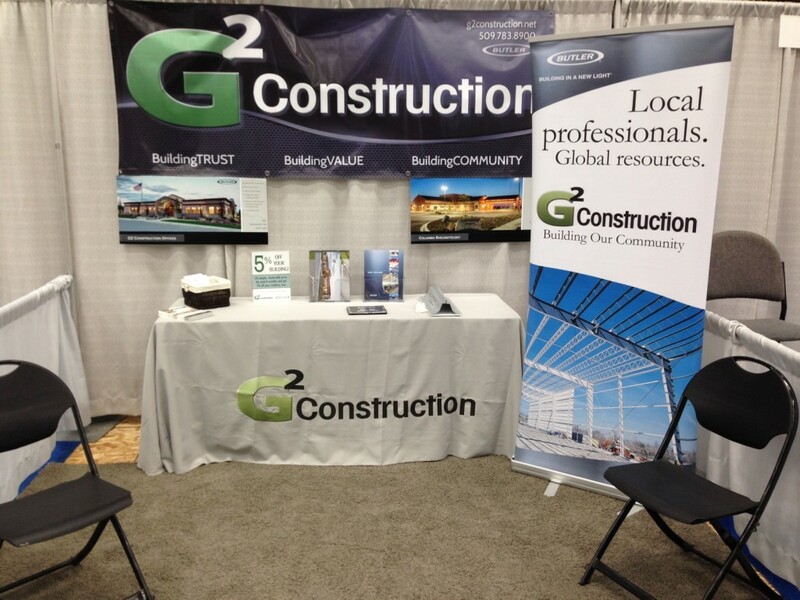 Located in Kennewick, Washington, G2 Construction has developed into a leading general contracting firm working in the commercial, industrial and agricultural sectors. A HUGE shout out to everyone who made our 6th annual G2 Golf Tournament such a success!! This was our highest-raised year yet – a whopping $17,489 for Camp Patriot! To all our sponsors, donations, volunteers, team players, and all of our fantastic supporters, THANK YOU again!!! Golfing again for our Veterans! This year marks the 6th annual G2 Golf Tournament in support of Camp Patriot. Want to get in on the fun?? WHEN: Friday, September 4, 2015. Shotgun start at 1:30pm. G2 is at it again…this time participating at the Washington Association of Wine Grape Growers Trade Show. Stop by and come see our booth! Enter for a chance to win our wine-themed gift giveaway. We are booth #9 at the Toyota Center in Kennewick. We love our community and we love our community wine!